Will radical research-led change in schools CS affect you?! Underpinned to a large extent by CS education research, the subject of computing science in Scottish schools has been going through a process of steady but significant change over the last 5 years and will continue to do so over the next 5-10 years. These changes, as well as those in other countries, will have a profound impact on our intake. We’ll then explore whether we in HE are ready for the changed intake and how we could respond. Quintin Cutts, Professor of Computer Science Education at the University of Glasgow, has researched and practised programming education for 20 years, involved in UK, US and Australasian projects. He has explored many instructional designs, endeavouring to maximise the value of face-to-face teaching using technology and peer-based learning, as well as incorporating and researching attitudes to learning into his teaching. More recently, he has been applying a range of CS education research, including his own, to the improvement of Scottish schools provision of computing science. There are literally hundreds of thousands of smartphone apps for health and wellness available on the app stores. But do they work? How do we know which ones are right for us? Which ones have been validated? And would you use one your doctor prescribed or would you rather listen to your friends and social network when it comes to managing your own personal health and wellbeing? This talk will describe some of the design and evaluation of mobile apps that we have done in computer and information sciences as part of the newly formed Digital Health and Wellness Group and highlight some of the on going challenges and opportunities for the future development of apps for health and wellness. – Team member from 2014’s “A Fox that I Drew” team. Their game Baum has just had a world-wide release on App store (online). Discussion on the requirements for setting up a team to enter the Dare to be Digital game development competition and how to go about putting a 5 minute video pitch together. The competition requires teams of programmers, graphics artists and audio engineers to come together as a cohesive team. To apply one must submit a short video pitch of the idea the team intends to develop for the game. One can see several examples of previous pitches available in a blog post (online). Another blog post of interest asks the question of “What qualities makes a game popular” (online). The talk will take place at 09:30 on Friday 19th February in Room H506, Faculty of Health and Social Care Building, Robert Gordon University, Aberdeen (as shown in the image below). Upon entering this building you will be on Level 4, a corridor to the side of the Reception desk leads to lifts and stairs that will take you to Level 5. The Garthdee Campus is located a few miles south west of Aberdeen city centre. The number 1 bus drives right into campus and stops directly outside the Riverside East building where the talk will be taking place. Thermal stimulation is a rich, emotive and salient feed-back channel that is well suited to human computer interaction (HCI), but one that is yet to be fully investigated. In this talk I will give in an overview of the research into thermal interfaces, I will pay particular attention to emotional aspects. Thermal stimulation has the potential to influence the emotional response of people to media such as images. While previous work has demonstrated that thermal stimuli might have an effect on the emotional perception of images, little is understood about the exact emotional responses different thermal properties and presentation techniques can elicit towards images. In this talk I will outline a number of user studies that investigate the effect thermal stimuli parameters (e.g. intensity) and timing of thermal stimuli presentation have on the emotional perception of images. Our studies found that thermal stimulation can increase valence and arousal in images with low valence and neutral to low arousal. Thermal augmentation of images also can reduce valence and arousal in high valence and arousal images. We also discovered that depending on when thermal augmentation is presented, it can either be used to create anticipation or enhance the inherent emotion an image is capable of evoking. Some of this work will also be presented at ACM CHI 2015. Martin is a lecturer in the Department of Computer and Information Sciences at the University of Strathclyde. His research interests are in interactive information retrieval, collaborative information retrieval, multimodal interaction and human computer interaction. He has published over 70 papers in leading venues including ACM CHI, ACM SIGIR and ACM Multimedia, and has multiple best paper nominations. Prior to joining Strathclyde, Martin was a lecturer at Glasgow Caledonian University and a researcher at the University of Glasgow. He has a PhD focusing on recommender systems from University College Dublin. (different HCN subunits) which are impossible to pharmacologically isolate. We have first determined the ability of a recent identification algorithm to discriminate the parameters of currents composed by two components on simulated data. high-voltage-activated slow component and a low-voltage-activated fast component. Finally, the electrophysiological significance of these two Ih components was tested individually in computational vestibular ganglion neuron models (sustained and transient), in the control case and in the presence of cAMP, an intracellular cyclic nucleotide that modulates HCN channel activity. School of Computing Science & Digital Media, Robert Gordon University, Sir Ian Wood Building, Garthdee, Aberdeen, Conference Room N117, 12:00 – 13:00. System configuration languages are now ubiquitous. Almost all major installations and services depend on specifications written in languages such as “Puppet” to deploy and manage the underlying infrastructure. But these languages are almost always developed in an ad-hoc way, which makes them very difficult to verify or reason about, and their complexity makes them difficult to use correctly. The resulting configuration errors are a frequent cause of system failures. I will give a little background on declarative configuration languages in general, and discuss some of the characteristics of the system configuration task which typically cause difficulties in practice. I will then give an overview of our work on configuration languages, before describing some current work on an experimental language (L3) which is intended to be a simple language with a clear semantics providing primitive operations specifically suited to configuration tasks. 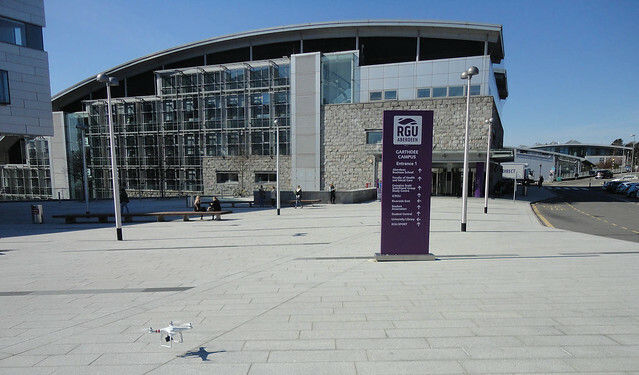 School of Computing Science & Digital Media, Robert Gordon University, Sir Ian Wood Building, Garthdee, Aberdeen, Conference Room N118, 13:00 – 14:00. We exist in a world of large data: most organisations have large data stored, and many (such as governments) have vast ones. Accessing and utilising this data quickly and effectively is essential for many real-world tasks. One of the great difficulties of such automated knowledge sharing is that each participant will have developed and evolved its knowledge sources independently and there will be significant variation in how they have done this. These differences may be to do with different words being used for the same thing, or vice versa, but may also be to do with the structure of the data. In this talk I will discuss our work on failure-driven diagnosis of ontological mismatch, and its application to dynamic integration of mismatched data from potentially large sources. The fact that these techniques are only invoked when some sort of failure occurs (for example, failure to interpret an automated query), and are based on reasoning about the causes of the failure, means that the majority of data in a large data source can be ignored, thereby providing a tractable solution to the problem.